“Echigo-Shishi (Performer from Echigo)” is performed to naga-uta. There are many kind of samisen (=three-stringed Japanese banjo) music including kiyomoto, yamato-gaku, shinnai etc. for Japanese dance. What is the difference between them? Samisen music can be divided into two categories; story-telling katari-mono and sketch-like utai-mono. The former have gidayu, tokiwazu, kiyomoto and shinnai while the latter naga-uta, yamato-gaku. The neck of samisen becomes thinner from the widest gidayu, middle-width tokiwazu and kiyomoto to naga-uta. 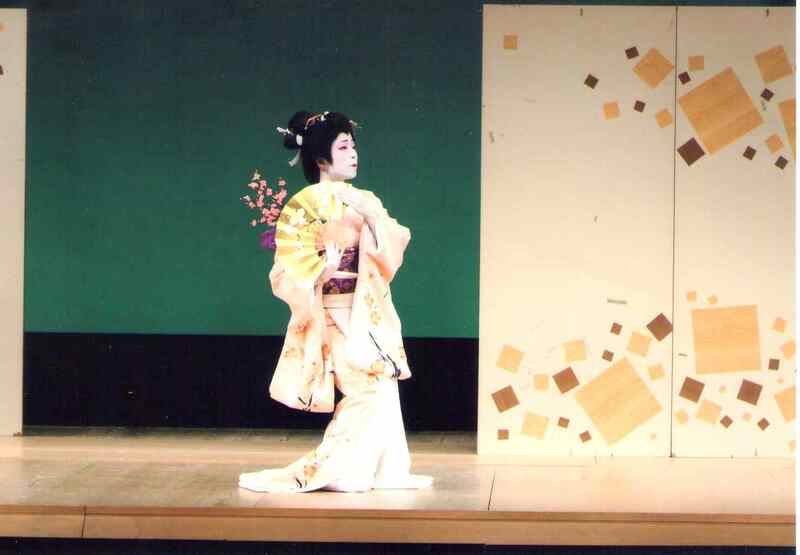 Named in 2012, Mei-Shun has been performed on the stage set in Tsuchiura City Hall, Ibaraki since 2013. This year’s program would be “Echigo-Shishi (Performer from Echigo)”. It is said that June 6th, 6-year- and 6-month-old is the best to start lessons of Japanese culture. This keiko-hajime (=start of lessons) tradition comes from “風姿花伝 (fushi-kaden)” written by the great noh actor and producer 世阿弥 (Ze-A-Mi, 1363-1443). He mentions how significant a good commencement is in music and dance. This is one of the reasons why Mei-Shun started this blog on that date. And let her bring up the biggest please– it is the birthday of her husband Shin. Interested in Kimono? Or Japanese Dance? Let’s share it with Mei-Shun. Seven years have passed since she started Japanese dance. It joined her cat and piano, making long-dreamed life with music and dance come true, at the middle point (?) of her journey.